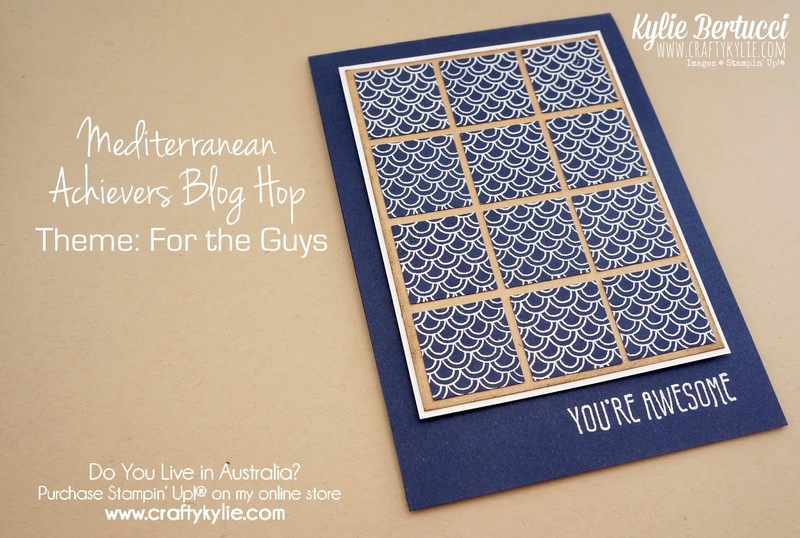 Thank you for joining us for the anticipated Mediterranean Achievers Blog Hop! We are very excited as there are only 87 days until we will be cruising to from Spain to Italy and Paris. I can't believe it. I just printed up all our tours and accomodation information tonight and made a folder. It is feeling very real and VERY exciting. 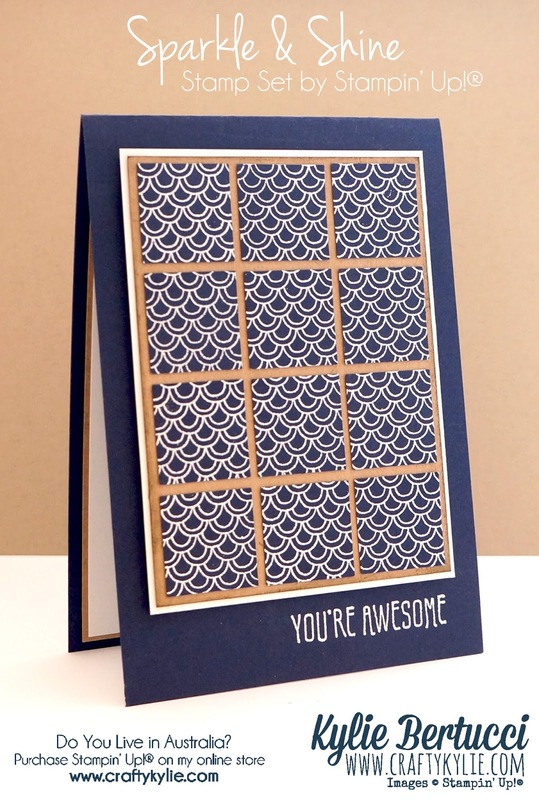 The theme this month is "one for the guys" We know that many find it difficult to get ideas for Masculine Cards - so we are sure that you will find so much inspiration for all those men in your life that deserve a card too... well sometimes. Hahahah. 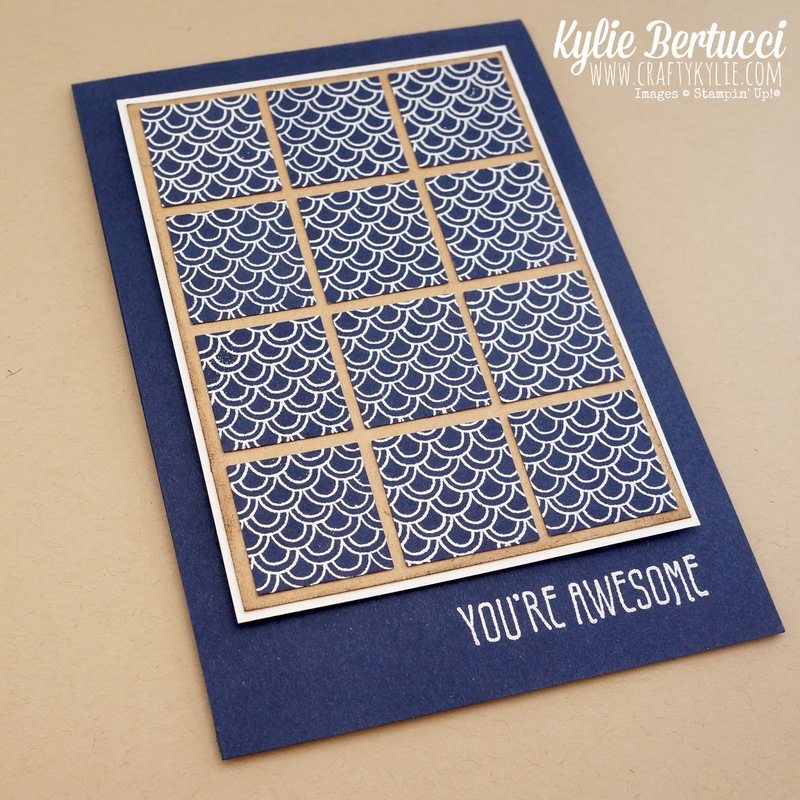 Currently you are at my blog - Kylie Bertucci. Have a look at the list below to continue hopping and seeing more amazing Masculine Projects. 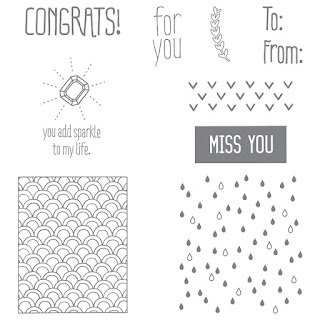 I used the Sprinkles & Shine Stamp set and embossed in white it on Night of Navy. I love how the pattern just POPs off the page. I used the gorgeous Kraft Cardstock behind the 1" squares. To me the pattern has a Japanese feel to it, and I LOVE Japan. Can't wait to go back there again one day soon. The gorgeous sentiment is from the Sale-a-bration Stamp set Botanicals for You - I just masked part of the stamp to create a new one! Thank you for joining me today - I hope you have liked what you have seen today. If so, I would love for you to subscribe for my blog updates by email. You can click here to do that. Here is our Blog Hop line Up below - remember currently you are at Kylie Bertucci so make sure you click on the person after me. Have fun! Perfection. So love your style. 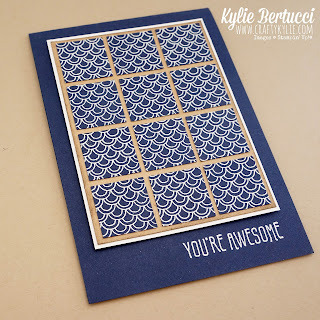 Kylie, this stamp set did not appeal to me at all but you have worked your magic with it and created a stunning card! Rethinking that stamp set now! So pretty!!! I thought this was designer paper! Love it! Reminds of Morocan tiles. what a great modern look!